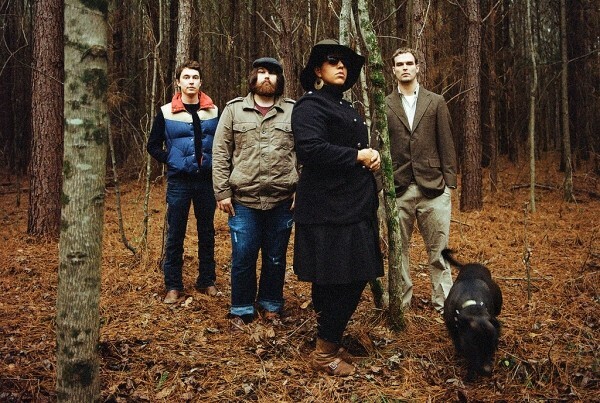 To say that the past 18 months have been a whirlwind affair for the members of Alabama Shakes would be a gigantic understatement. Since releasing their four-song self-titled EP in September 2011, they have received raves from the likes of NPR and The New York Times, performed at CMJ, visited all the major late-night shows and released a critically acclaimed full-length record, Boys & Girls, which was nominated for three awards at this year’s Grammys. To hear guitarist Heath Fogg tell it, the shell shock hasn’t worn off. Part of the reason everyone is falling in love with the band is because of their dynamic and raw performances. Tracks like “I Ain’t the Same” showcase a hybrid Southern-rock/soul sound; the impassioned groovy-rock number “Hold On” has been a mainstay on college radio since its release; and “You Ain’t Alone” is a slow-building, doo-wop ballad that morphs into a rumbling rock & roll track once singer Brittany Howard starts channeling Janis Joplin and blows the house down. The feel of this last track should give fans an idea of what to expect at live shows. The band’s ability to keep people on their toes has served them well on more than one occasion. Their first single, “Hold On,” was created when Howard just started doing free-association singing in between songs during a concert. It didn’t take long for the audience to respond. Moments like this, perhaps more than anything else, are why Fogg believes people are drawn to the band, and to Howard in particular. Fogg comes off as a genuine, somewhat self-effacing man, and one gets the sense that the band is this way, too, which further explains their appeal. They seem like everyday Joes who accidentally became rock stars and have no idea what to make of it. When Fogg says they are surprised by how quickly all of this success has come to them, or talks about how they felt out of their league at the Grammys, you believe him. That being said, the band is grateful for their success and doesn’t want to take it for granted. With that sort of perspective, Alabama Shakes might be well on their way to becoming the most grounded rock stars ever.